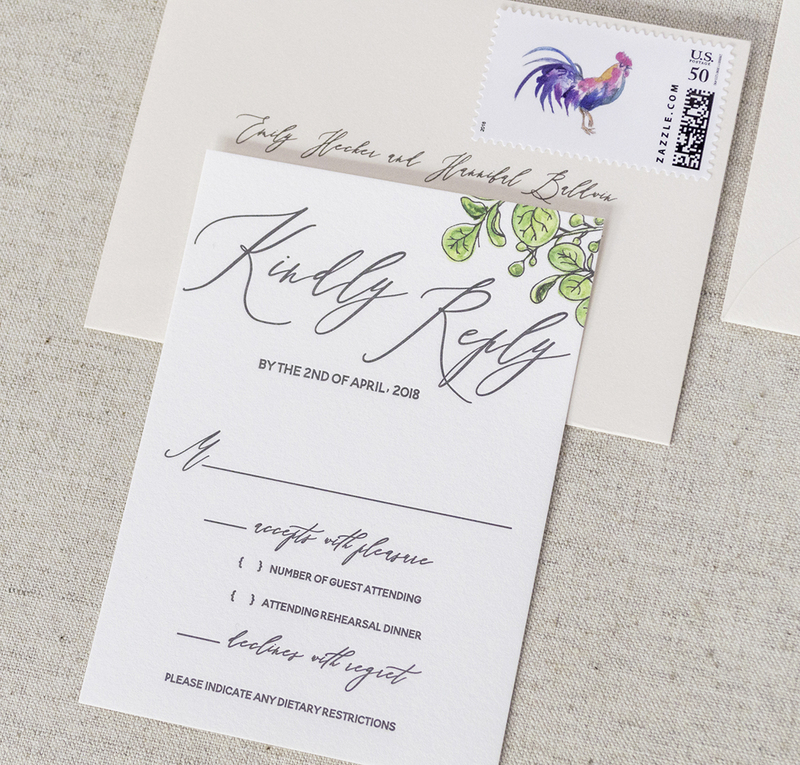 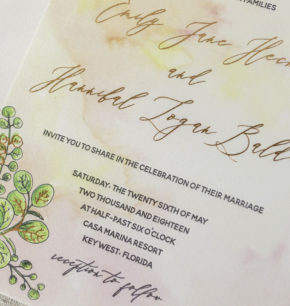 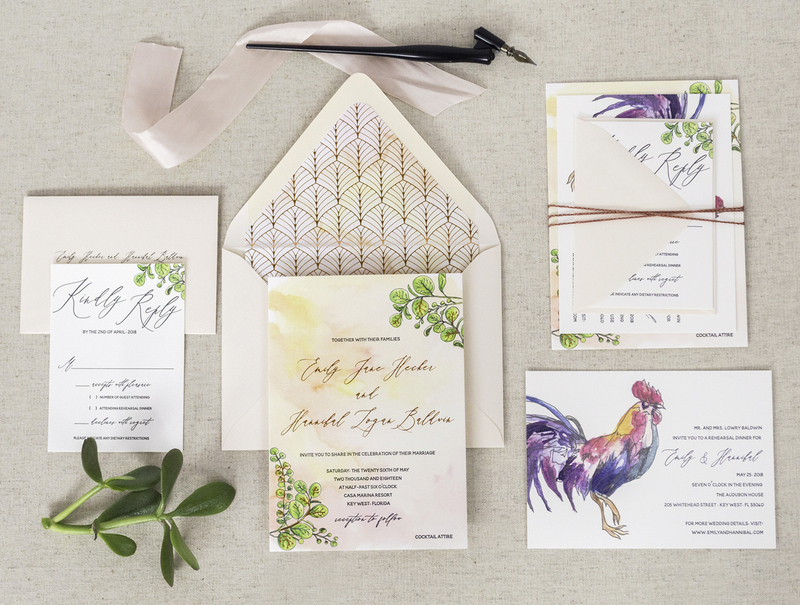 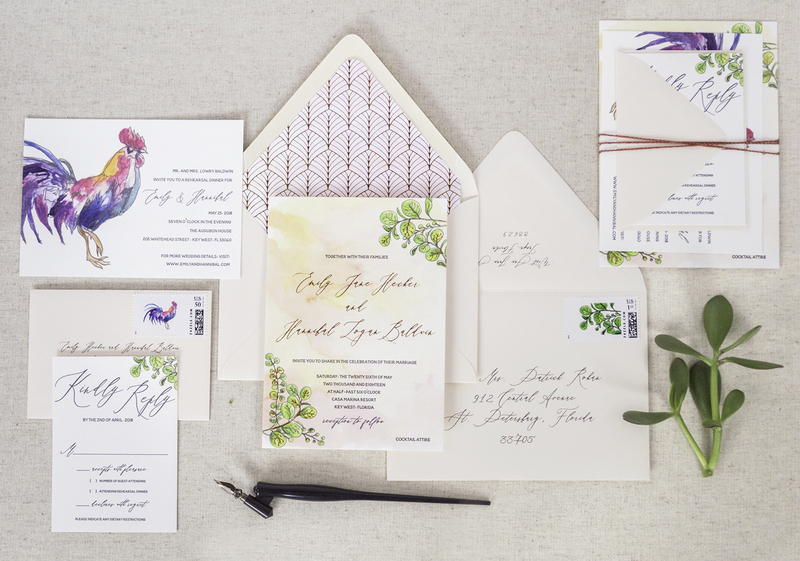 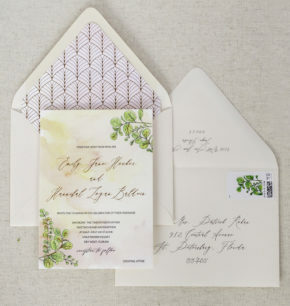 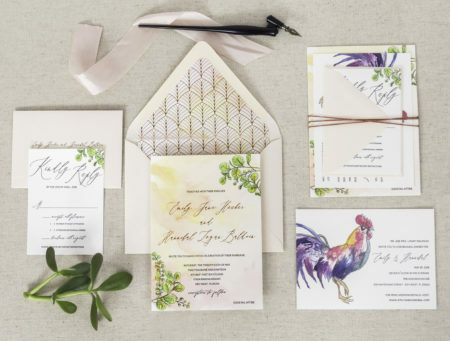 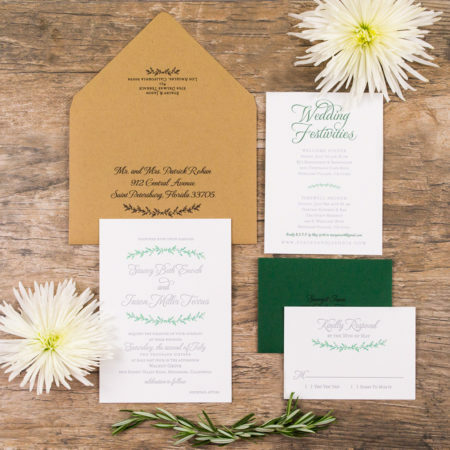 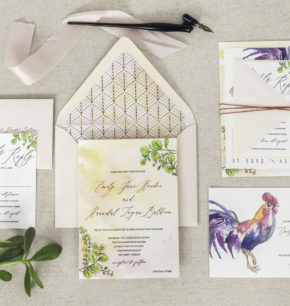 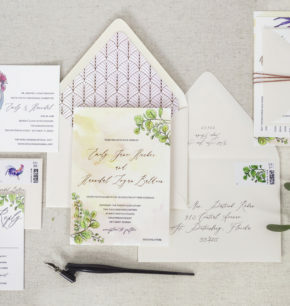 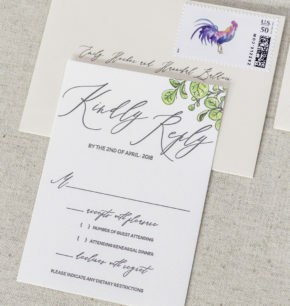 This couple tied the knot in Key West, Florida, and they wanted their paper goods to really represent the unique elements of the area. 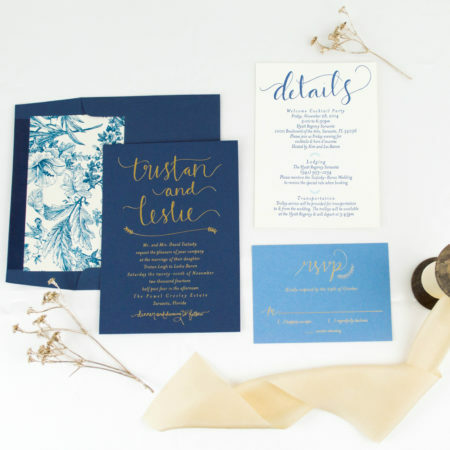 There are so many fun details in this suite! 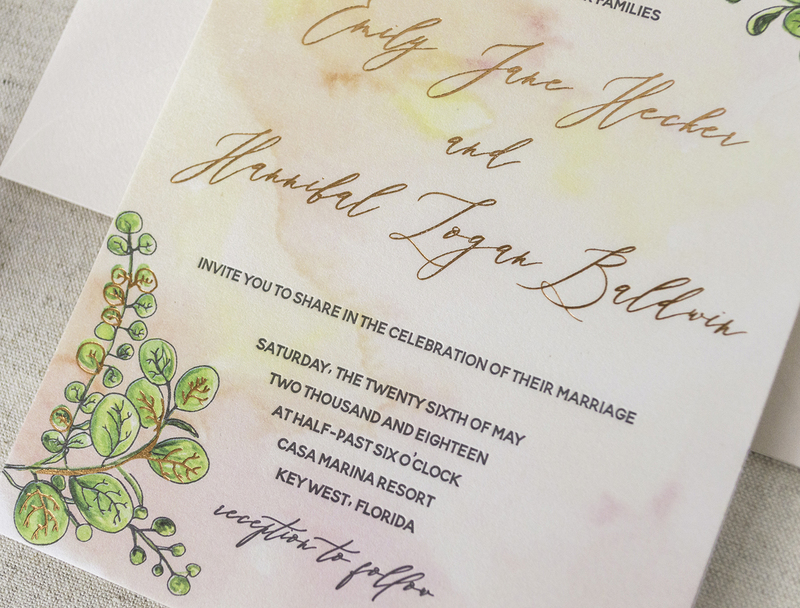 We created a watercolor wash to represent the beautiful sunset and incorporated a sea grape leaves design throughout the entire suite. 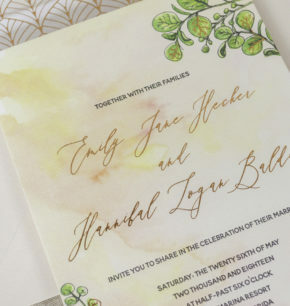 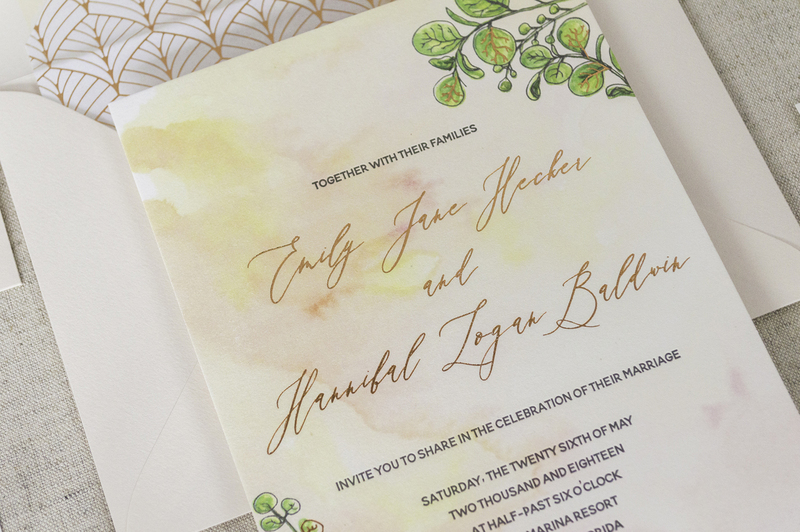 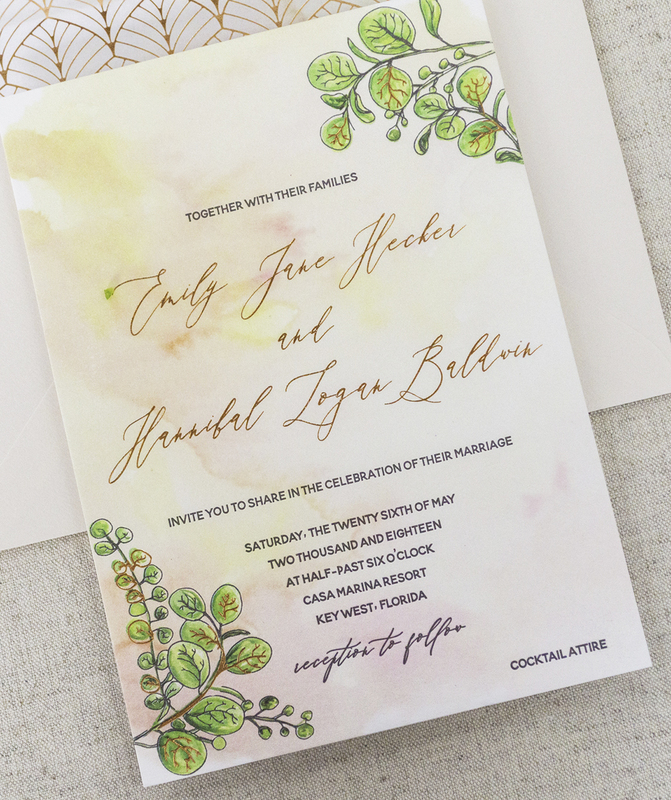 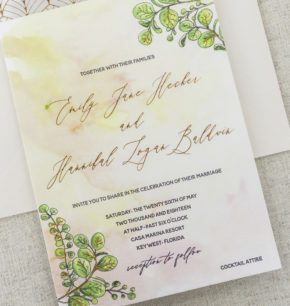 To make their invites even more unique, we added copper foil details on their names and in some areas of the sea grapes design. 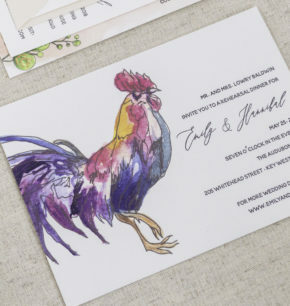 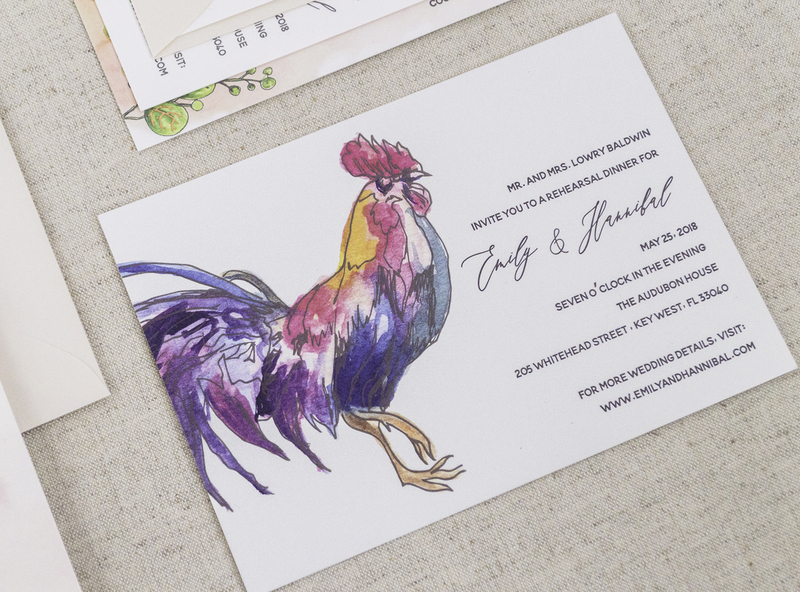 The Keys are known for their roosters that freely walk in the streets, so adding a colorful rooster was a must! 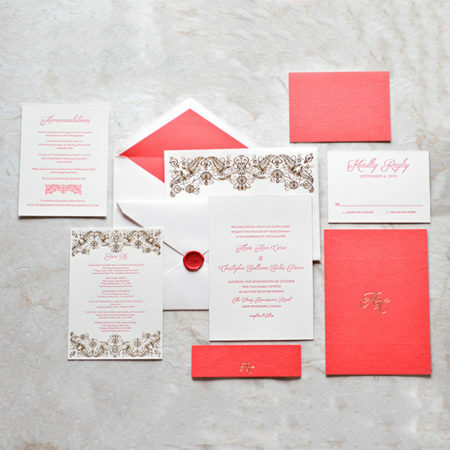 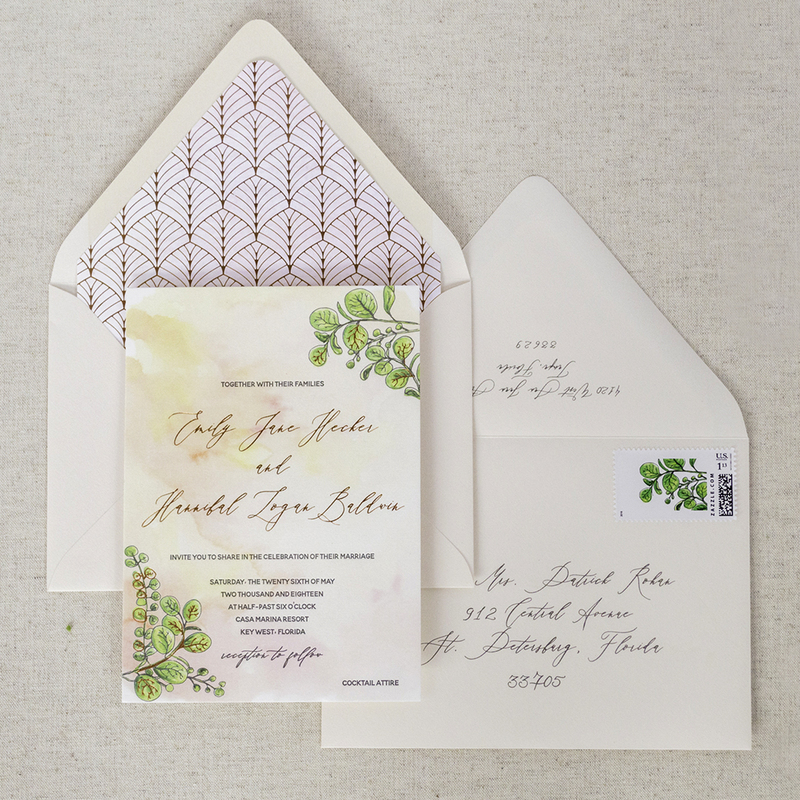 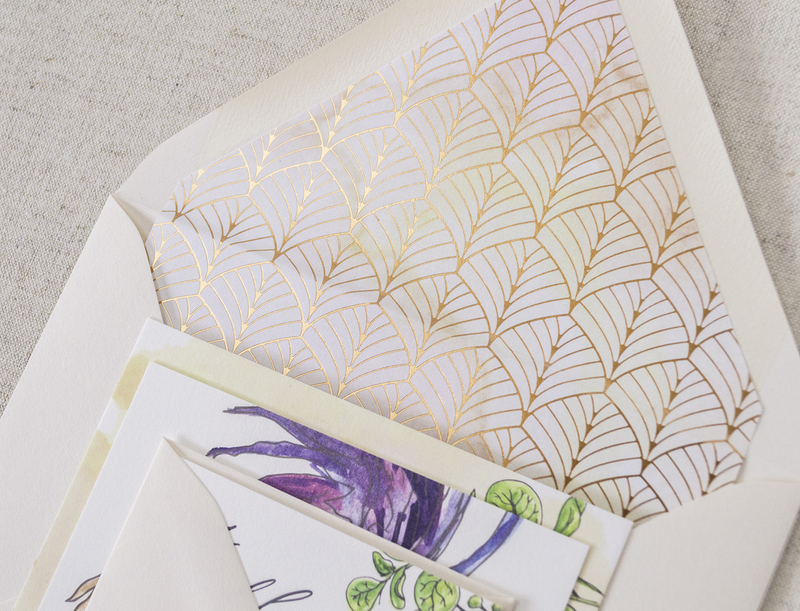 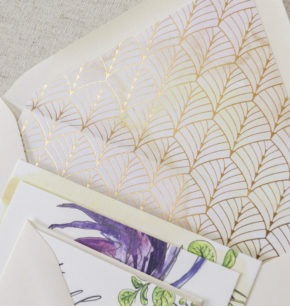 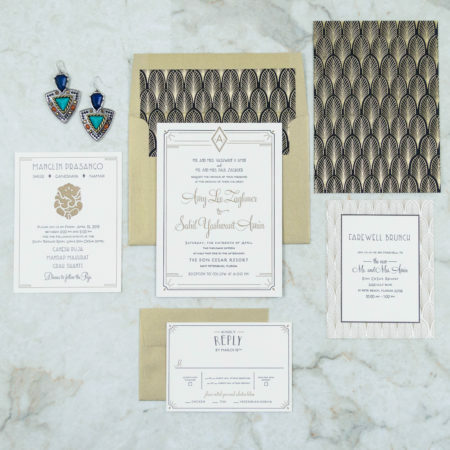 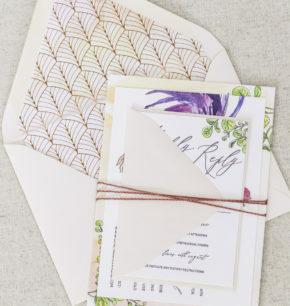 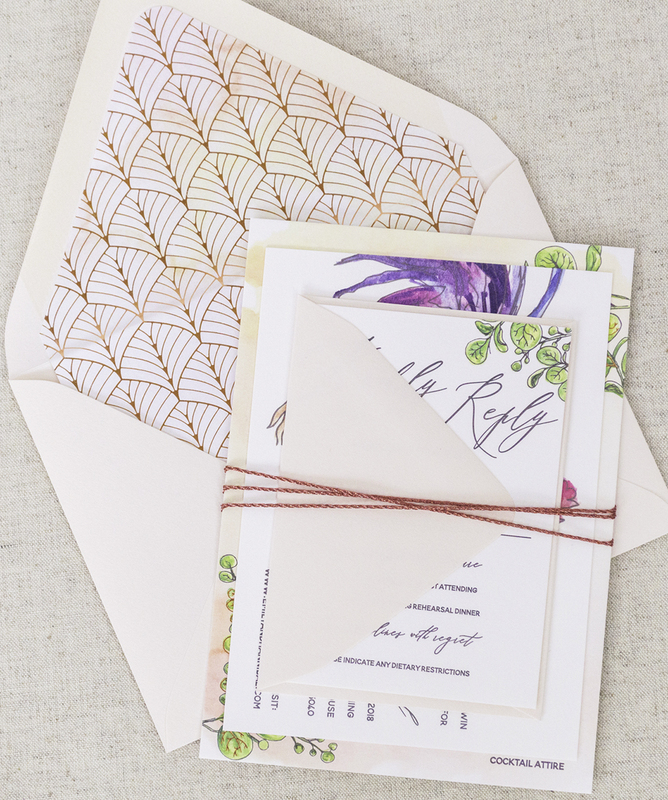 We finished the design by embellishing each envelope with a beautiful copper-foiled palm liner and tying each suite with a pretty metallic copper twine.